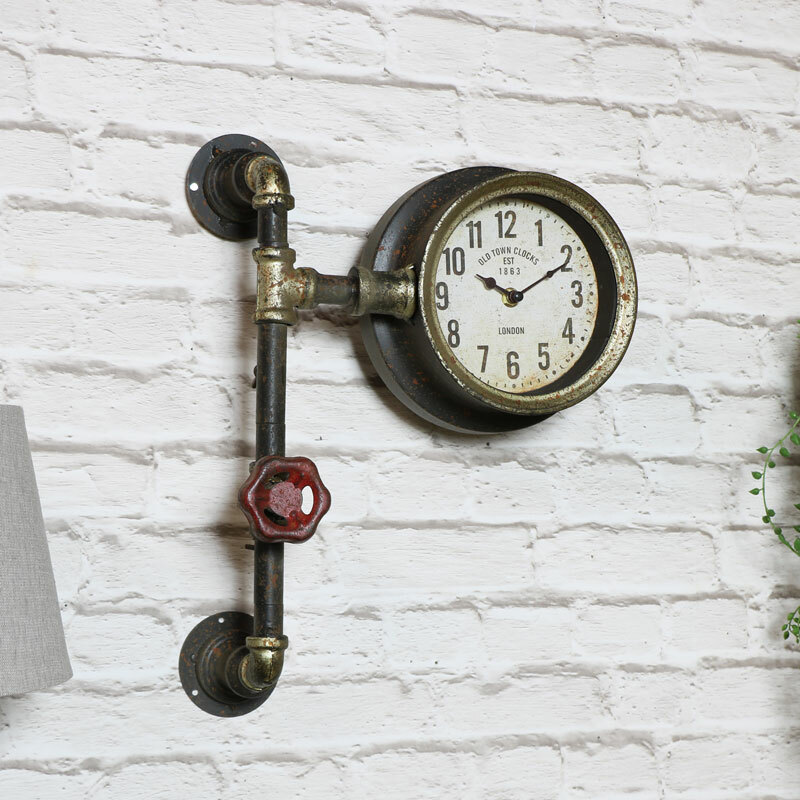 Constructed with a metal frame around the clock and attached to a metal pipe in a heavily distressed rustic grey and black finish. 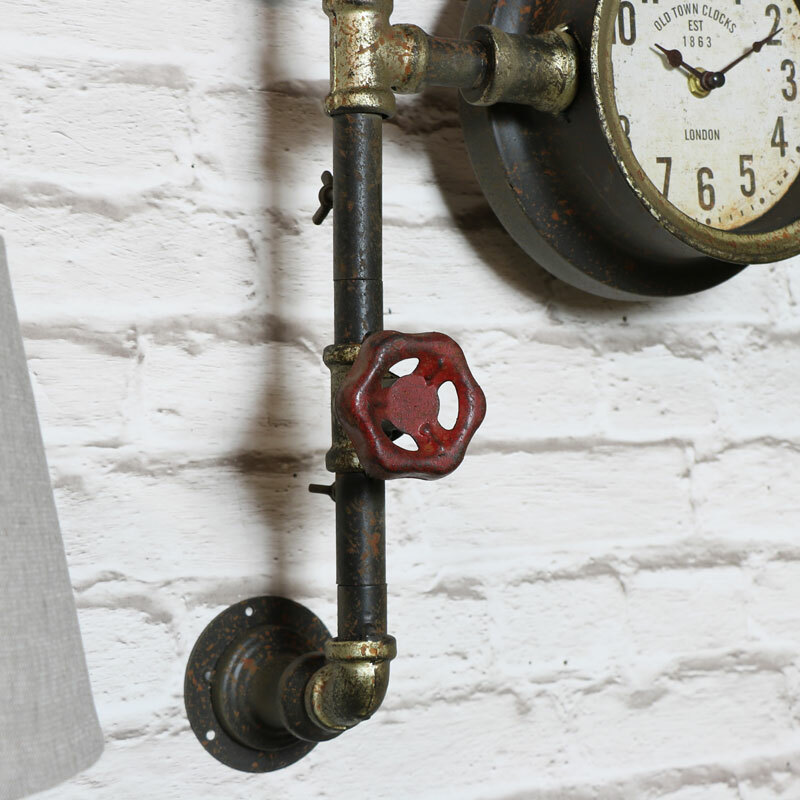 Easily wall mounted with 6 screw holes on the pipe bracket ends. Takes x1 AA battery (not included). 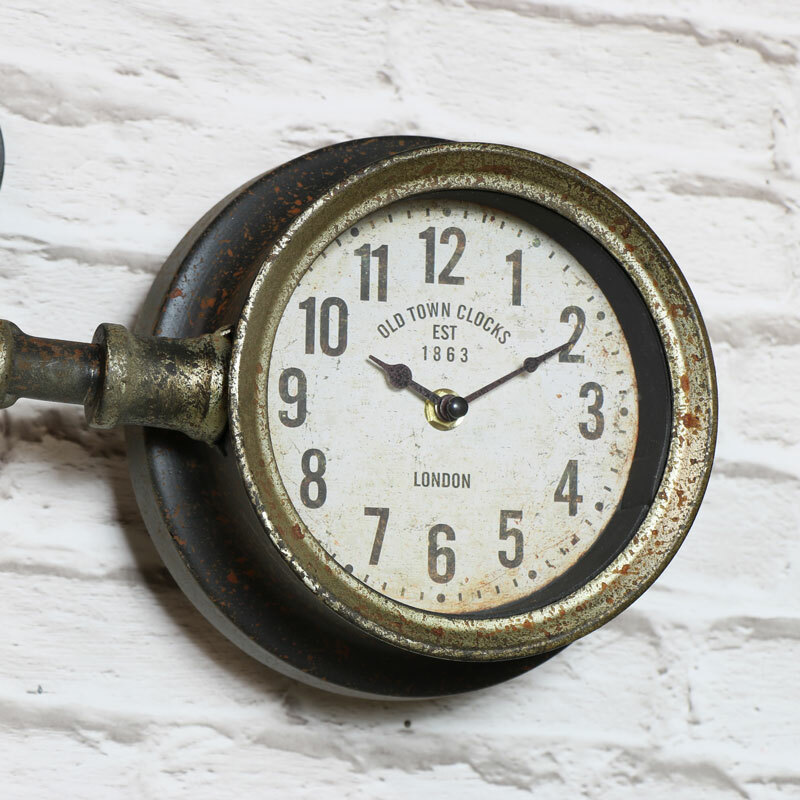 A great addition to our fantastic selection of wall clocks, pick the perfect gift for family and friends.